Kim never made a big secret of her attempts to combat the skin condition she has been suffering from for years, employing various treatment methods which even include Chinese herbal mixtures. 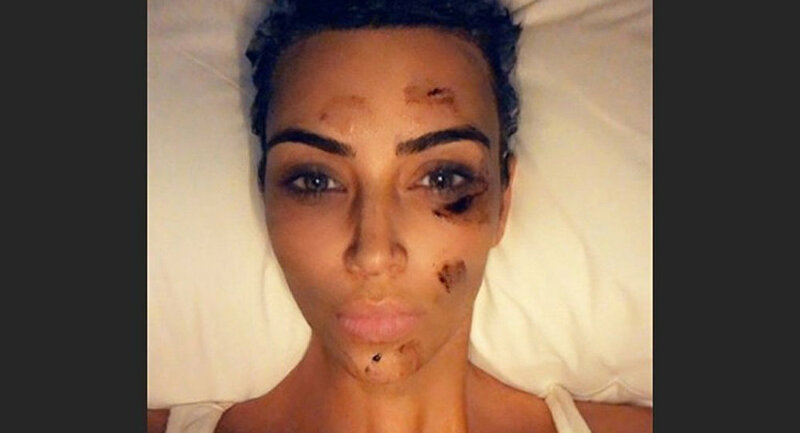 Reality TV star and internet celebrity Kim Kardashian has delivered a fresh report on her ongoing battle with psoriasis to her social media audience. A photo shared online shows Kim resting her head on a pillow, with dark blotches covering her face. "Psoriasis is the sh*ts," she captioned the picture, adding that the stuff on her face is actually "herbal ointment". Earlier, Kim revealed that she became "super desperate" about her affliction and obtained a mixture from a Chinese herbalist in her quest for a cure, claiming that the concoction turned out to be quite nasty. Last week, she also complained about her plight on Twitter after the Daily Mail posted pictures of Kim with visible makeup-covered bumps on her face. And in December, Kim even turned to her fans for help, telling them that she urgently needs medication to deal with psoriasis, and asked people for suggestions.